My old Asus EEE PC 900 is the oldest piece of hardware I own. With an old Intel Atom processor and 1GB of RAM it’s never was the fastest kid on the block (in fact I never considered the Windows XP version of the same unit usable as it was very sluggish). However after owning it for nearly 7 years I am very surprised I can still use it. Granted I only use it occasionally when I am at home, but thanks to LXDE it was still usable. I recently learned that LXDE is merging with the Razor-Qt project (great idea!) to create the combined LXQT – an ultra-low resource window manager. Warning: LXQt is still considered a work in progress. So probably not a good idea on your prime work machine. I started with a clean re-install of LUBUNTU LTS 14.04 – to add LXQt you need to add the lubuntu-daily PPA. 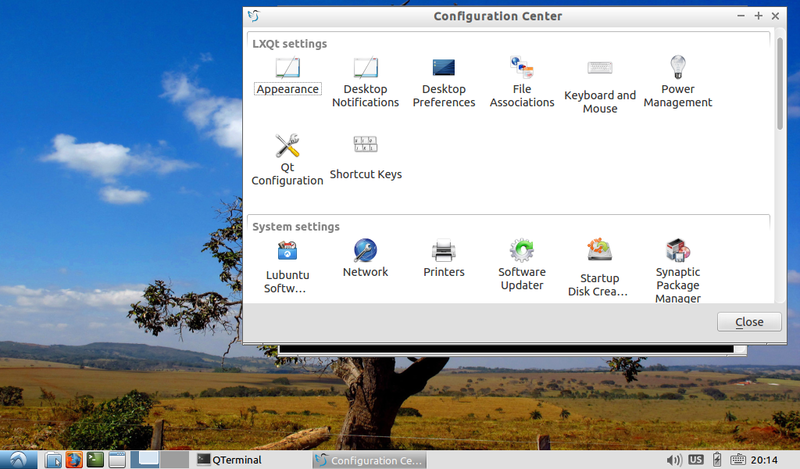 Log out and log in back to LXQt desktop environment. Voilà ! After using it a little while it really is a joy to use and extremely responsive even on such a resource constrained old unit.